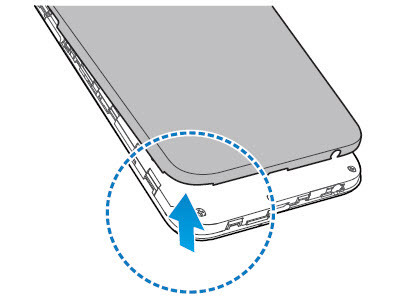 Using the notch in the lower corner, remove the battery cover. 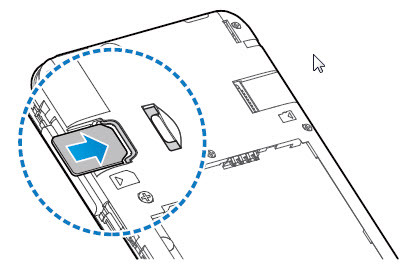 With the gold contacts facing down and the notch located in the upper-left, insert the SIM card into the tray as shown. 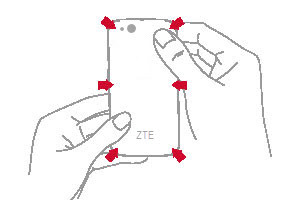 Gently snap the edges of the battery cover back on.